All of us download mp3 songs from internet and use those mp3 download websites. But the only problem which i face is that these sites are stuffed with pop up ads with big downloads banner written and the real download link is hidden somewhere which a rocket scientist can only find. 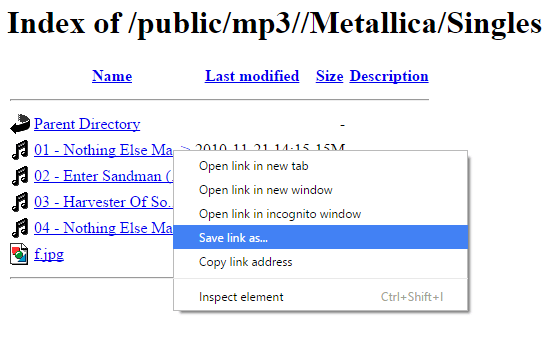 But here in this article i am going to tell you a simple way in whic you can directly find the download links of tat song, without using their ad stuffed web page. You can just go to their page to directly save that mp3. 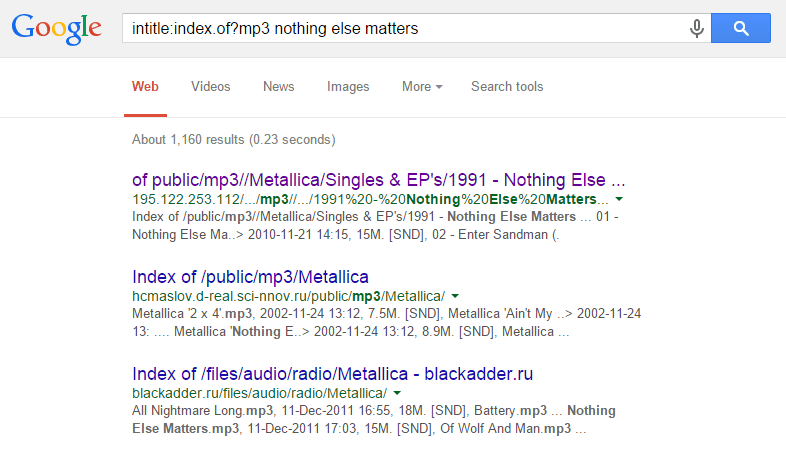 Suppose you have to download Nothing else matters song. You can change that with the song which you want to download. Step 2# Open any search result page. You will get the linsk of download for tat song. Step3# Just right click on any of the link and save it to your computer. Thats it, A simple clean and ad free way to download your song. Cheers.